At SmugMug, our mission is simple - to provide a service that helps everyone protect and celebrate their priceless memories. 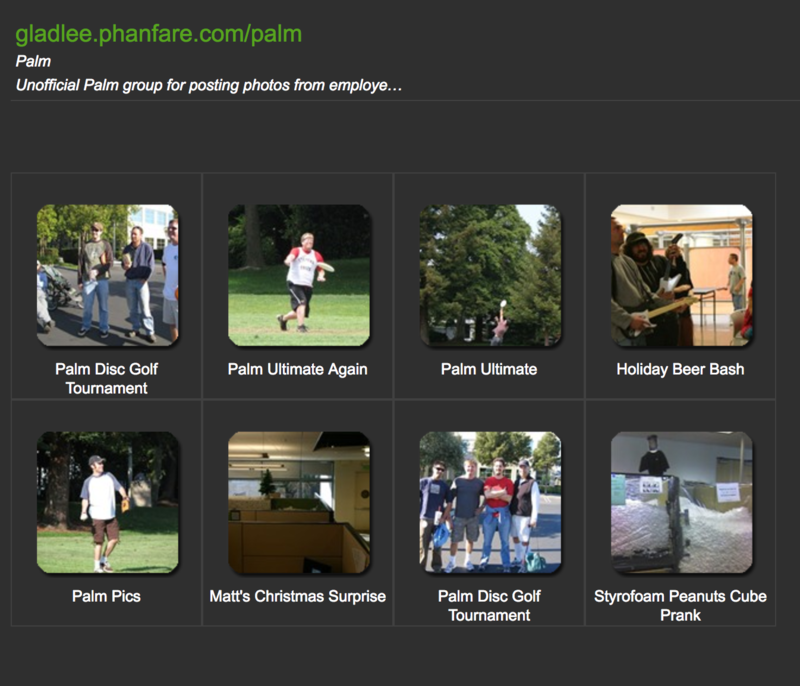 To that end, we are thrilled to welcome Phanfare customers (and their photos!) to SmugMug. 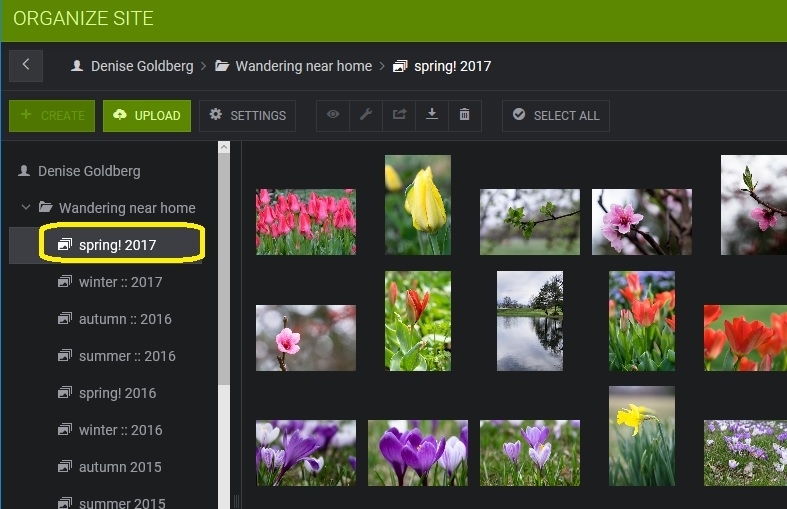 Phanfare will no longer be available after May 28, 2017, but we’ve worked with Phanfare to create a fast, easy, and automatic process to transfer all your photos and data. You can upgrade to SmugMug immediately, and even better, SmugMug will honor the remainder of your Phanfare subscription. Simply hit the button above to get started. 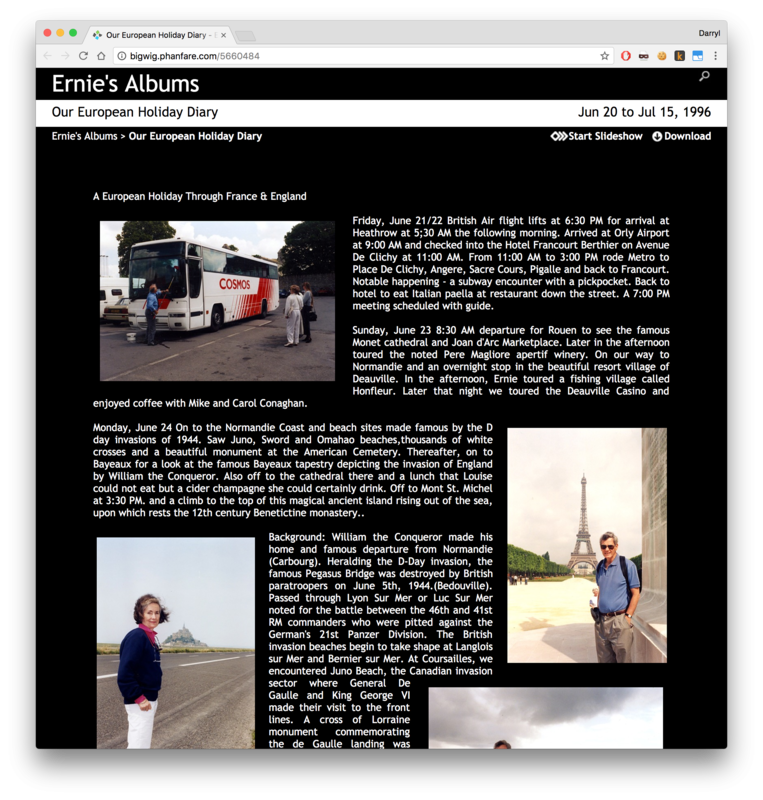 By simply choosing a different layout style, and then typing a huge journal entry into the Album Description, you got a pretty nice looking "blog" page. I don't know how SmugMug might address this particular migration headache. And I don't know how many Phanfare customers use it and honestly what kind of numbers we're talking about anyways. But yeah... it's a tough one - lots of time invested in their sites. Search! I almost forgot about search. Man, back in 2010, when Google Photos wasn't even a twinkle in some young kids' eye, it was AMAZING to be able to search my photos. Of course this only worked if you had named your albums with say, the name of the kid whose birthday it was, or the museum visited, but I got pretty good at remembering that. We will import the Gallery Description over, though we won't maintain the layout. So your long album descriptions won't be lost! The SmugMug Journal Style does something similar but not the same: it uses the caption of the photo to tell a story. This way you can associate a particular photo with part of the story, rather than hoping the automatic layout puts the photo near the part of the story in the album description. You can also try out the Collage Portrait, which will make a blog-like layout with the photos and captions. Yes, we'll import over as much of that information as we can. Subsites will become folders (automatically). Our own "Pages" can support whatever you'd like to add to them, including text blocks. We have a whole host of "content blocks" (widgets) that can be added to the page via a drag/drop interface and moved and setup as you'd like. Hey, thanks for the response leftquark! I'm actually a longtime SmugMug user, but haven't really uploaded to it (nor Phanfare) for ages, now that I've got most everything in Google Photos. Still this was huge news, and I have family on Phanfare, so I wanted to see how things looked. After SmugMug launched its huge makeover, I played with it a bit, but never dug deep. That's interesting about Folders. I was trying to use them to replicate Pages and at the time didn't want to make a folder public (because I still had a Recent Folders widget on my home page), so as an Unlisted folder it got the unique random ID tacked on. Phanfare's Subsites were "unlisted" w/o any randomness, but I guess if I don't use Folders on the Home page, that's fine. One other thing about Subsites is that a gallery could be in multiple subsites. So a "Birthdays" subsite might include the "Mom's 60th Birthday" gallery, but that gallery could also be in a "Mom" subsite. I honestly didn't use this feature much, but I guess you'll just be dropping the gallery into the a folder that matches the first subsite, since you don't have symlinks or aliases that would allow a gallery to be in multiple folders. Yes, I'm familiar with Journal Style, and I think a long time ago I played with Collage Portrait. I wonder how the UX will be to chop up a big text block from Album Description into individual captions. Thankfully this isn't something I did, but rather what someone posting to Phanfare's Facebook were concerned about that I had not even thought about. Oooooh, now that everything's transferred... time to see what a mess I've got. OH, it's just the folder structure, not the photos yet. Makes sense. This is exceedingly regrettable. I suppose with some clever (and arduous) API work one could try to regenerate dates and then... put the in the Album Title? At least then the SmugMug organizer would show them. Feh. As a fellow refugee thanks for starting this thread. Started my migration about 48 hours ago and its about halfway done so I am being patient (well mostly) and waiting for it to finalise while I read all the support pages etc before I actually start to fiddle with anything. I was a big big user of the Journal style - 10 years worth of daily blogs. I was also a big user of sub-sites with a lot linked to external websites via inline frames etc. So I am following the above tips to work out what to be doing to recreate them. I did notice a couple of things so far - any photos that had been cropped or rotated are back to their original state. Any files that have not transferred over due to their file types - go to account settings > stats > uploads > details - to find a list of them all. It may take some detective work to narrow them all down to our original source on our hard drives as it doesn't list their original folder/album location or anything in the name. Also - I know SmugMug doesn't have rotate video function and I have a few that are going to need rotating. Any suggestions for aps or free programs that do this simply ? I use Apple Mac and iPhoto/iMovie environment. If it helps anyone as a tip - I have taken screen shots of my entire library and each albums privacy settings and/or sub-site settings and stored them in a folder on my hard drive so that I can make sure I am able to do as many comparisons as possible when carbonite dumps our accounts once and for all and we lose out access. Something else - still reading all the support docs but haven't come across this yet - will I still be able to drag and drop my photos and videos direct from iPhoto ? I don't see that as an option on upload. 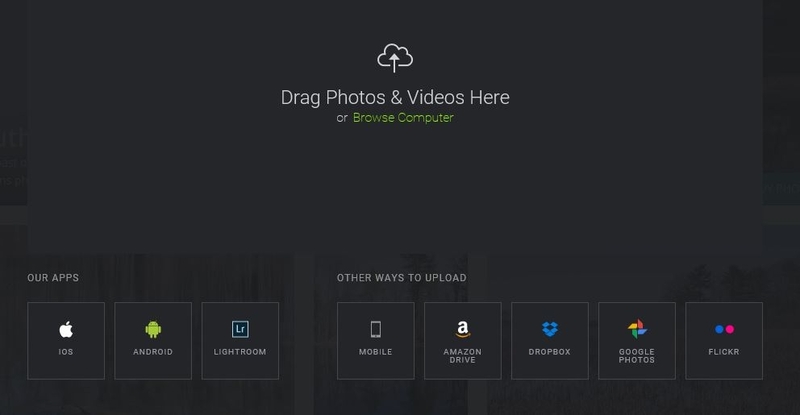 The drag & drop option is from your computer (as opposed to another site). Help page on uploading photos to SmugMug is at http://help.smugmug.com/customer/portal/articles/1386737-how-do-i-upload-photos-and-videos-. Thanks Denise - I had been using iphoto as a search term in the support area and nothing was coming up. So it does look from your screen shot there that the apple icon only relates to uploading from my iphone. So technically I could create my favourites folder in iphoto - drag them over to a folder on my desktop - then drag into smugmug. Extra chain in the link but I guess it would work. In Phanfare we have the Library and the Album View. Essentially our work space and then the view that others see. Does SmugMug have similar ? I cant work out whether I can see everything in my account yet as my migration is still happening 2 and a half days on - soooo many files ! But while it is happening I am just trying to think of as much stuff as I can to be prepared to get started on fixing everything as soon as the migration is done. I'm not familiar with Phanfare so I can't give you an exact comparison. 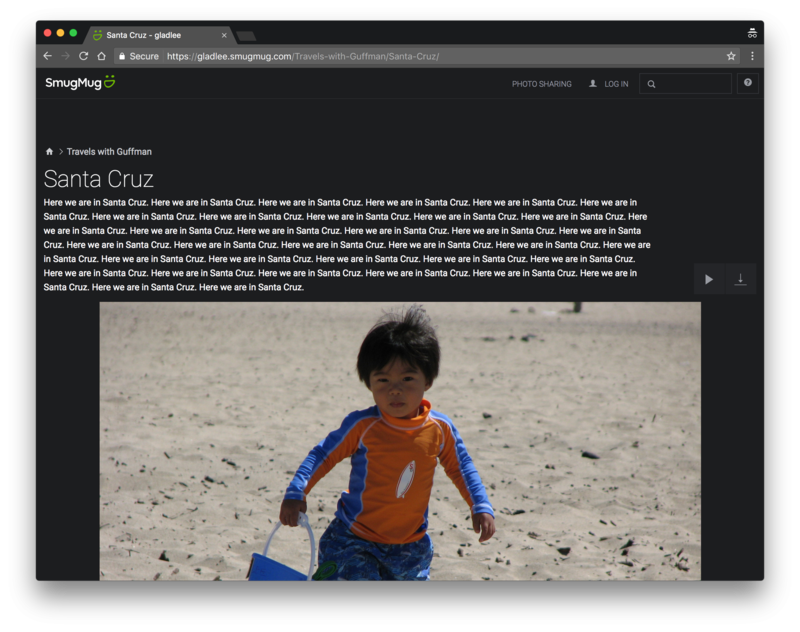 You have the view of your photos as they will be seen by your viewers by simply opening folders, galleries, and pages. You also have the organizer, available only to you when signed on. There you can make bulk changes, create new folders, galleries, and pages, drag galleries to different folders, drag photos to different galleries. Help page on Organizer is at http://help.smugmug.com/customer/portal/articles/1213254. Dragging in straight from Apple Photos doesn't work, but if you're in the SmugMug Uploader you can click on "Browse Computer" and then choose "Photos" to access the photos in the Photos app, and choose from there. Thanks Denise - i just got the email saying my migration is completed so now I can actually get in and have a look around and work out the difference between folders, galleries and pages. Leftquark thanks but thats Photos - not iPhoto - so wont work. If my memory serves me correctly, you could drag from iPhoto to SmugMug, but it's been a while since iPhoto was discontinued and I don't have a copy around to try it out. I'll see if our QA team can dig up one and get an answer. No probs leftquark - iPhoto wasnt actually discontinued - just hidden and replaced by Photos - but many Apple users retained it as its a far better application for organisation and editing than Photos (which seems to be more for teens!!). Have spent the entire day trying to recreate some basic chronological order to some 400 folders. Rest of the week will be doing a side by side comparison with each folder and the corresponding one in my Phanfare library to work out what has migrated and what hasnt. Seems that as well as each "album" not migrating chronologically, each of its sub albums and sections and then the photos inside each - are also all totally out of order :( so much work to try and match it all before the Phanfare library disappears. Anyway must go rest the eyes, back and wrist - they have worked hard today. Technically no longer supporting it and offering new updates is considered "discontinued" (which is Apple's official stance on it and it was last updated in December 2015) but because software is installed on someone's HD and not accessed via the cloud, you're correct in that some people have hung onto it and continue to use it. I'll keep digging and see if we have a copy lying around so we can test uploading to SM from it. seems that as well as each "album" not migrating chronologically, each of its sub albums and sections and then the photos inside each - are also all totally out of order so much work to try and match it all before the Phanfare library disappears. There is an option to sort galleries by Date Taken, if that's how you had sorted them on PhanFare. You can also do this in Bulk across all galleries, so you don't need to do it manually one-by-one. 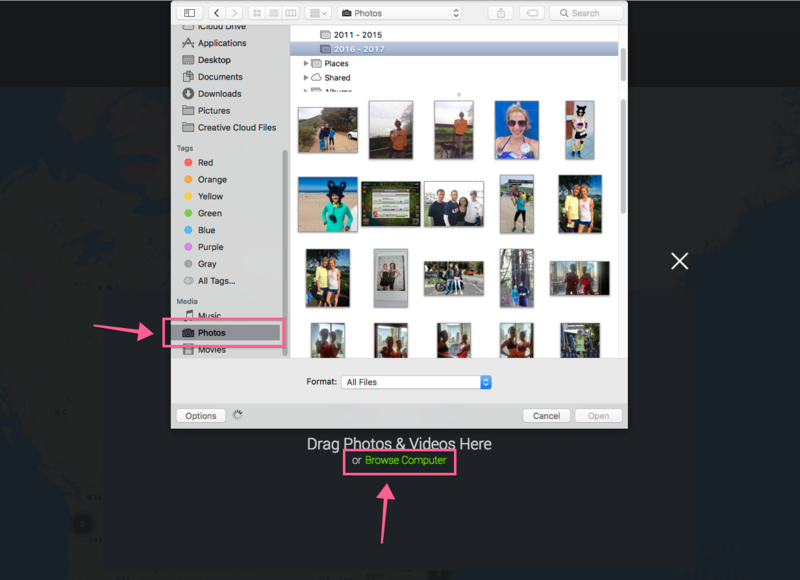 We were able to confirm that you can drag photos straight from iPhoto into SmugMug to initiate an upload. I know Phanfare had a pretty active community so I've created a new forum for the Phanfare to SmugMug migration and moved this thread into it. Feel free to split topics out into their own threads in this forum from now on. It should help other Phanfare migrators find similar topics easier. Hi - I have already helped out one Phanfare user with a migration and SmugMug Customization - once the albums moved over from Phanfare to SmugMug. Throughout the dgrin forum you can see a lot of different ideas for your SmugMug site. Thanks @jerryr ! I'm using the Phanfare-SmugMug migration as an opportunity to rethink/re-imagine my site (I imagine many others are doing the same) and really appreciate the help and pointers to resources like your page. Thank you !!!!! That will make my life much easier ! Thanks for this - we refugees appreciate it ! Spending my weekend getting everything back into order. Am a little confused about functions. 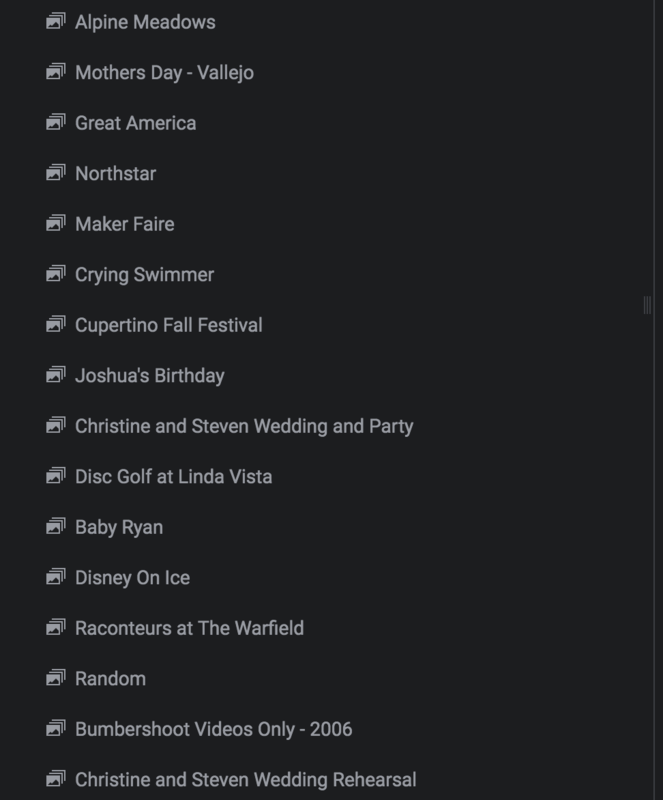 So when I am in "Organizer" view - I cant seem to click on any folder or gallery to see what is inside it ? So far all I seem to be able to do is move the galleries into folders. Where can I actually view and fix the contents of my galleries ? As everything has come over well and truly out of order I need to do side by side comparisons with my Phanfare albums (before they disappear) - in order to reorder everything. Last weekend once my migration completed - I sat and created a heap of annual folders and dragged all the galleries into the right year. Left all my albums that previously lived under the "Miscellaneous" heading and also my many "sites" as I will play with them later. 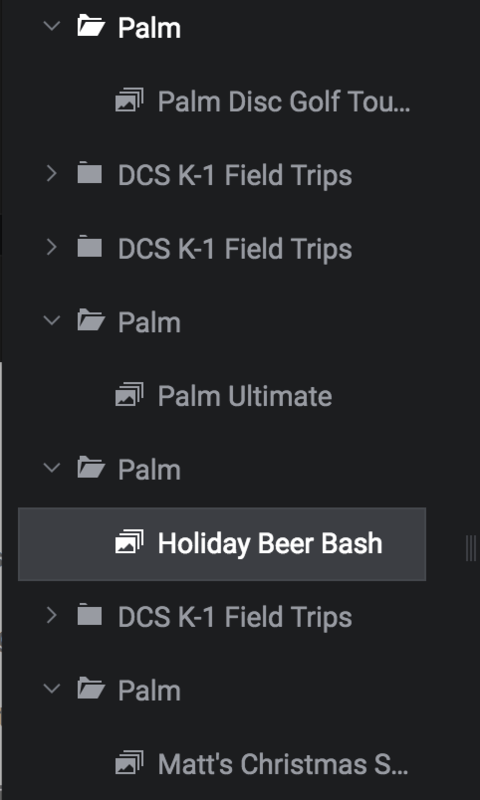 But now that I am back in Organizer and wanting to start getting all my previously named "sections" into their right order (and the photos in them back into order as well) - I am not seeing where to do this. I am obviously missing something obvious LOL. Is "Organizer" what we would have previously called "Library" - the area where we actually created and built our albums etc. Off topic - leftquark - are you able to tell us how many Phanfare clients you have migrated over ? I am curious as to how many of us were still around. From what I can see in the migration I have a lot of duplicate galleries due to anything I previously had an album linked to as a subsite. I am guessing this will mean I will always have to duplicate everything to each of those galleries ? 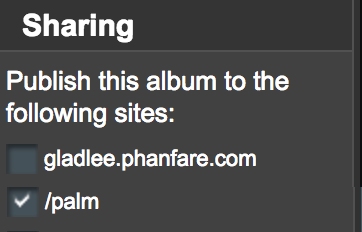 I had my normal phanfare album which was locked down to access only to my specific friends and family. But some albums were also linked out to subsites that were again password protected but I could send those to specified people who I didnt want to be able to access my normal albums. So for example I had a travel subsite and a concert photos subsite - and if I was in a forum where I wanted to share those photos - I only shared the subsite itself. Am I right in thinking that now that they have all migrated over as separate galleries - there is no way for me to have a gallery that I can "mirror" to different locations. So if I want to continue to have a smugmug "page" (I guess) that is accessible by password to my friends and family - but I also want some of the folders or galleries visible either publicly or by password elsewhere - from now on these will be separate folders or galleries. No idea if I am using all the right terminology LOL. Even as I am typing I am wondering if I am explaining it all logically. Geez I hate change when its sudden and unexpected! Been watching the introduction videos on you tube for hours. Thanks for all the detail you have put into them. In the organizer, clicking on a folder should show the galleries that reside in the folder, and clicking on a gallery should show the photos in the gallery. Both clicks need to be done in the folder / gallery list on the left. In the screen shot below, I clicked on the caret next to the folder "Wandering near home" to open the folder, then clicked on the gallery "spring! 2017" to show the photos on the right. You can drag photos to a different gallery (choose on the right, drag to the left). If you have a folder open then folders and galleries within that folder will show on the right. You can move items from the right to a different folder. To change sort direction, first click on the item you want to resort on the left. Then look above the right grid for two buttons, Sort by, and a toggle sort direction indicator. Choose the sort direction there. 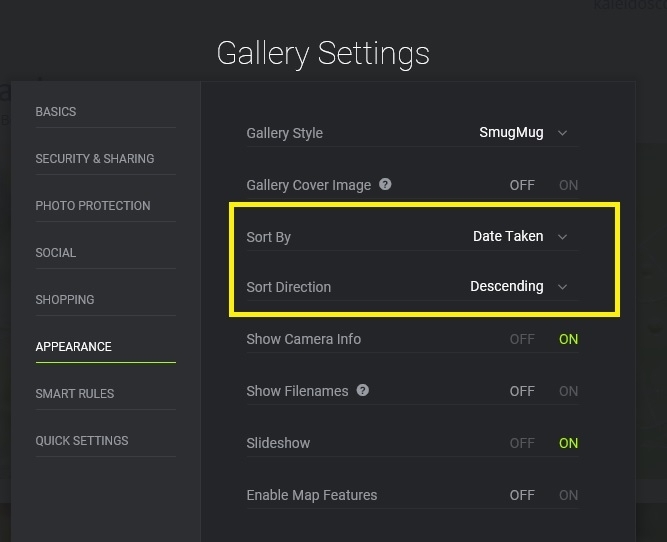 Note that gallery settings also include a setting that specifies the sort sequence of the photos within the gallery. The help page Organize your content may be helpful. Take a look at the section titled "Sort Photos"
You could collect photos from a gallery into other galleries, creating different views of the photos for different purposes. Unfortunately the settings of the collection are inherited from the original location so you can't have the source gallery password-protected for one user but not another. See help page Display a photo in multiple galleries. You can also share photos only with specified individuals without making the galleries available for public access. See help page Share photos privately with only people I choose. Another option that might be helpful is sharegroups. See http://help.smugmug.com/customer/portal/articles/93261-can-i-share-multiple-unlisted-galleries-with-one-link-sharegroups-. Thanks Denise - am reading each of the links you posted to work out what will work best for each situation (I have too many "situations" lol). SmugMug has a "preview" mode for layout changes, but I think the best way to see what other people will see is to view your site in Incognito Mode (Chrome) or another browser where you're not logged in. Yeah, I really found myself missing a Preview button when I'm inside a Gallery. Especially after I changed Gallery Style or other made other Appearance modifications. So it would really be nice to have a quick button to see that. @KarinaExPhanfare's experience with "duplicate galleries" (I think they're actually folders with duplicate names) echoes what I'm seeing. So probably one big difference to understand between Phanfare and Smugmug is that organizationally, Phanfare's structure was flat. If you don't think about subsites, every album was in one big folder. Phanfare's library UI grouped them by year, and sorted them by date, so it seemed organized, but without that overlay, it's just one big folder. SmugMug has folders. You can put galleries in folders. You can create subfolders and put galleries into those. It's similar to the folder structure on your computer. I wished the SmugMug migrator had given us the option to have folders created by year, and the albums would be migrated into those appropriately, mirroring what you see in the Phanfare library. Because the Phanfare main site was also organized by year. I don't know how heavily people used Subsites. I did it for a few things (school photos for a specific room, special events, company events), but mainly I would upload an event, hide the bad photos, and make it public, which would magically show it chronologically (thanks to automatic album date calculation). A Google search for site:phanfare.com reveals that there's no small number of Phanfare users that also seemed to use this as their primary way to share. I took sooooo many screen shots first! I was a very big user of the subsites so I am really trying to get my head around how best to make changes that will work for me. I had one just for great concert shots that I had watermarked. The full gigs were in my normal albums viewable to friends and family - but if I wanted to share some shots with random folks online - I had a separate subsite. Same with travel shots. Main albums all locked down to private for family and friends. But my "most awesome" ones without me in them - that I shared with randoms online or folks I had met but didnt want to give them access to my whole life - plus they were watermarked - went in a subsite. I also run sizeable websites for specific actors, singers and genealogy. On each one I have inline frames with a phanfare subsite built into the website itself. This one is my toughest problem where I need to find a solution that works. Those photos and videos have nothing to do with my "life" so they were not visible on my normal phanfare page that my family and friends saw. I have to do a lot more reading on what works how to see what is going to work for me in this situation. Meanwhile all I have done for 10 hours today is go through my albums chronologically and compare image counts (mostly only missing a couple of random videos that I can easily reload - plus some bmp's that I will reformat and upload - keeping track on a checklist), then put the albums/galleries back into order within an annual folder (I am an archiver so I have 50 years of annual folders - gazillions scanned from negatives and originals), then put the images back in order, and double checked all album & photo descriptions have come over. I have also been rotating everything. Have left re cropping for "later". So I have done 1967 through to 2004 so far. Need some dinner and a rest. My bootie is square! One thing I noticed - Where I created the annual folders and moved everything into place - a combo of galleries and also folders I think (I think where an album had sections in it - they have come over as a folder) it wont let me drag both folders and galleries into my preference date order. So say in my 2017 folder it has migrated some folders with sub folders/galleries, and some galleries - it prioritises the folders first. So I cant technically make every subfolder and gallery chronological. Hope I have explained that right. I might do some screen shots and show you later after I have a break. We have a public holiday here in Aus on Tuesday so thats a free day away from work where I can get back into this project. 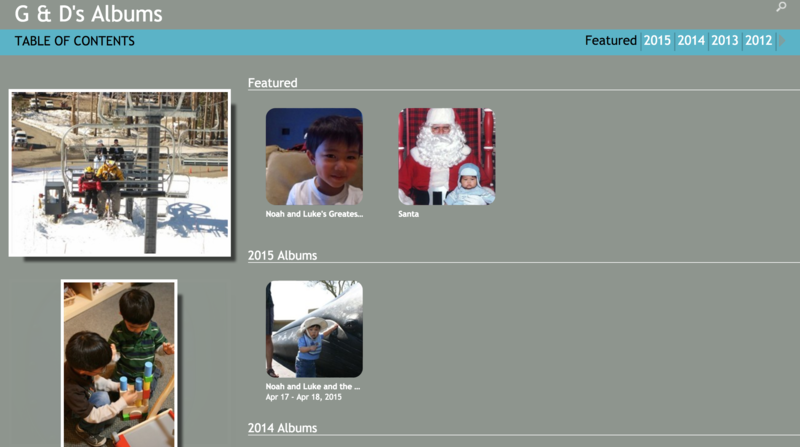 Last December, I paid a SmugMug customizer to transfer my 8,000 family photos to SmugMug and create a site that resembles the Phanfare one I had used for 12 years. It may help you to see how close he came. Compare “New Mexico" in Phanfare (http://albums.phanfare.com/isolated/BRGa78hm/1/14330945) and SmugMug (https://murawski.smugmug.com/2015-2019/2016/New-Mexico) (the lighter Phanfare background is a recent change of mine). SmugMug photos open faster than Phanfare's, and SmugMug's collage layout looks more modern than Phanfare’s odd version, but SmugMug is a pain to work in. Right-click options for deleting photos and other everyday tasks are sorely needed. Adding "A favorite part of the world (August 2016)” below the New Mexico breadcrumbs required a workaround unknown to SmugMug's tech support. And you can’t isolate a portion of a SmugMug site as you can in Phanfare; breadcrumbs let viewers open everything. Then, as others have reported, photos don't transfer to SmugMug in quite their Phanfare order, and rearranging them takes endless hours. SmugMug would have fewer emails to answer if it created some how-to’s or templates for making Phanfare-like sites. Lacking them and any interest in learning SmugMug from scratch, I worked with @jerryr (http://www.jrcustomization.com) to jumpstart things. Finally, I can’t figure why Carbonite bothered to buy Phanfare and then let it languish and die. As for the short notice about closure, it’s inexcusable.